Sliammon members who voted on their First Nation's Final Agreement yesterday, July 10, may or may not have been Sliammon members. Members who didn't show may have inadvertently cast a vote by ill-defined proxy. "The Eligibility and Enrolment Committee did not even have an appeal process," said Brandon Peters. A university student from Sliammon, Peters opposes the present treaty process, and says he "never meant to get this involved." "An Elder went to Tacoma and saw her niece voting on this treaty under aliases - they are members of another Band, and you can't have dual citizenship in Aboriginal country. And they (the treaty group) have been telling us for some time now, even though it's not written anywhere, that every eligible voter who does not vote will be counted as a 'no,'" said Peters. There was 57 percent voter approval for the Final Agreement that has cost their community almost two decades in negotiations under the British Columbia Treaty Commission. The First Nation owes at least $18 million of their $30 million Settlement Capital Transfer in loans undertaken to finance those negotiations. Sliammon has secured Fee Simple Title to five percent of their traditional territory, with BC now in possession of underlying title to that, and the other 95 percent in full. A month ago a group of exasperated citizens pulled their vehicles up snug against the polling station doors on the Reserve and prevented voting on that day, while votes in two other locations off-Reserve had already gone ahead. Jackie Timothy, a Hereditary leader of the Sliammon, explained why people were moved to stop the vote. "All the issues in the treaty are concerns to the people. It was the Elders who were seeing something wrong here." The Sliammon Anti-Treaty group then sought a BC court injunction to prevent the second voting day from happening. Some voters had received three ballots; some had been offered $20 for a "yes" vote; and Elders were promised $15,000 on ratification of the Final Agreement. These affidavits were filed to support the request for an injunction - to provide time to unravel proper voting procedures from the present confusion and get answers to the questions skeptics have been asking for a decade. They were denied that time by a BC court. A lawyer for the Sliammon Treaty Group, Greg McDade, represented the pro-treaty concern at the hearing for the injunction against the ratification vote. He told the court the same thing that every other opponent of a Final Agreement has been told when, in the final hours of desperation, they appeal to the foreign court system for relief: they're too late. They should have raised these concerns a long time ago. Both Final Agreements ratified in the BC treaty process, and the Nisga'a treaty, came up against major opposition in court and in United Nations Committees - objections coming from concerned citizens within the treaty-going community and from neighbouring nations. And all of it at the last minute. Or so it would seem. The mainstream press has never mentioned the endless unanswered letters, the voices of opposition that are drummed out of treaty meetings in the process, the demands for access to audits of treaty negotiation budgets, as well as - just in the case of Sliammon - the fact that the Agreement in Principle was rejected by a margin of 78 votes in 2001. None of these forms of dissent slowed the treaty machine, and all of these efforts were discounted or dismissed by the BC judge in court on July 9th. As Hereditary Chief MukSamma (Timothy) recalls events after voting down the AIP, "they just shuffled the Chief and Council and kept on going with the treaty...We wrote letters asking questions and raising concerns, and we just got letters back saying that our suggestions would be considered. They weren't. This has been going on for years." Peters never expected the injunction against the vote to be made. "He didn't want to rule on it. The government and the Supreme Court go hand in hand. The government has been supporting the treaty because they stand to gain Sliammon territory in Fee Simple Title once the treaty goes through. It's a conflict of interest for them." The treaty opposition got a lot of last minute calls and e-mails of support and amazement at irregularities being revealed in the process, but none so heavy as the support coming to the Treaty Society's aid. All the elected Chiefs of Maa-nulth Treaty Society signed a statement supporting Sliammon's negotiators and their pro-treaty Chief and Council. The press release was issued June 26, slamming the Sliammon anti-treaty demonstrators and demanding Canadian law be applied to ensure ballots could be dropped in boxes on the appointed day. 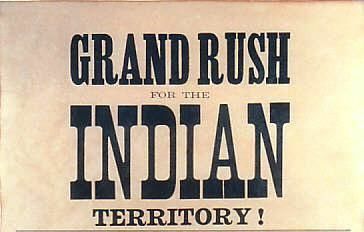 There seems to be some confusion over the fact that the question of whether Canadian law applies in unsurrendered indigenous lands is one that is ultimately settled by the Final Agreement itself – if not by international proceedings following it to nullify these land claims made in an era of extreme duress. Maa-nulth ratified their Final Agreement in 2007, the second and most recent First Nation to accede to the Treaty Commission's extinguishment terms, after Tsawwassen in the same year. Maa-nulth's statement went on to say that the Chief Negotiators "go to extensive lengths to ensure that their citizens are fully informed about the treaty." But is that a statement that Brandon Peters would agree with? "Not at all. A lot of the treaty workers don't even know what is in the treaty. For instance, we are going to be taxed. In a few years we're going to lose our Indian Status, but they're telling us we're not. We were just informed that we had to register our Certificate of Possession lands back in Stage 4 of negotiations in order to protect them from the treaty process, but that was never brought up. Nobody I know has done that, and we will have to pay tax on that land to the Treaty First Nation or have it be absorbed by them. "They (the treaty group) say that only people who can afford to pay taxes will be taxed, but I can't see it. We have an 80% unemployment rate. Then they told people they will raise welfare rates after treaty, but you can't just change provincial or federal welfare rates; that money will have to come out of our pocket. As it stands, we have no fishery rights in this treaty; no underwater rights; we cannot sue the government for past wrongs; the list goes on. And they didn't tell us these things." The question of whether "informed consent" has been given is answered by the Hereditary Chief in another way. Are people informed? "Well, go around Sliammon and see for yourself who's informed - they are the ones with nice cars, nice homes. The other ones are not informed." "You have to dig deeper. Who are the Chiefs? They are government employees - imposed on us by the Indian Act, replacing the Hereditary Chiefs. So, it's the government negotiating with itself. And the government employees have becomes the 'haves' and everyone else is on welfare: the 'have-nots.' Under the Hereditary system, people were equal." Peters got an outside opinion. "People laughed at me and said, 'why don't I go up to the treaty office and get informed?' Well, I can go to a used car salesman and he will tell me the car is great - but I'm not going to do that. I'm going to get an independent opinion. And that's what I did. "I'm about to become a university graduate and I couldn't understand the Final Agreement. It's in legalese; it's in a different language. The lawyer explained to me what each part means. That lawyer told me, 'Brandon, this is probably the worst deal your people are ever going to make.'"